We're Not in Manhattan Anymore. 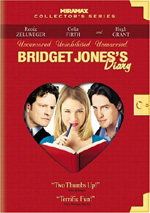 Hugh Grant and Sara Jessica Parker star in this delightful comedy about finding love in the most unexpected places. Two successful New Yorkers, Paul and Meryl, are at their wits' end with repairing their strained marriage. But when they become the only witnesses to a brutal murder, the police hide them away in Wyoming together. Now these die-hard city dwellers will have to survive the weather, bears, fresh air, and forced time with one another if they want to make it out alive. $6.616 million on 2718 screens. Not many comedies dig into the Witness Protection Program as a major story point; I can think of the Steve Martin dud My Blue Heaven and not much else. Undaunted by that history, 2009’s Did You Hear About the Morgans? tries to incorporate that concept into a romantic comedy framework. 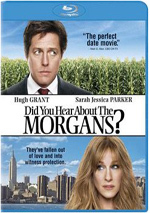 Separated New Yorkers Paul (Hugh Grant) and Meryl (Sarah Jessica Parker) strive to address problems in their faltering marriage. During an after dinner walk, they witness a murder. The only ones who can identify the killer, the authorities whisk them into the Witness Relocation Program until they can testify. This sends them to Wyoming, where they’ll temporarily live as “Paul and Meryl Foster”. They claim to be related to the local marshal, Clay Wheeler (Sam Elliott) and his wife Emma (Mary Steenburgen). The Morgans deal with life in the sticks while they also get reacquainted with each other – and avoid the killer who wants to find them. Fish out of water stories are a dime a dozen, and Morgans does exceedingly little to reinvent that particular wheel. In fact, I’d contend it probably does nothing to add a creative edge to a tired format, though I do think it lacks the usual condescension typical of the genre. Most flicks of this sort either make the country folks look like inferior morons, or they depict the city people as effete snobs. To some degree, Morgans does both – and neither. It certainly pokes fun at the Morgans as well as Wyoming locals, but I don’t think it achieves this in a mean-spirited way. Like Doc Hollywood, one of the better genre efforts, Morgans manages to seem fairly even-handed in its comedic pursuits. Morgans doesn’t create as enjoyable a tale as Hollywood, but it manages some charms. Most of these connect to the cast. In particular, Grant provides an enjoyable turn. Yes, he offers virtually the same performance in every movie. He possesses one expression: sheepish. Nonetheless, I must admit I like his work. He delivers his lines in a manner that makes them quirky and unusual but not self-conscious or off-putting. Grant manages to milk potentially dopey bits for more comedy than they’re really worth. Elliott and Steenburgen – who’s officially Still Getting It Done at 56 – don’t have a ton to do, but they add some charm to their roles. Heck, the movie even establishes that Wilford Brimley’s still alive – who knew? Morgans doesn’t have an original bone in its body, but that doesn’t make it a bad movie. Instead, it creates a moderately enjoyable comedic tale. It’s not a winner, but it’s a pleasant diversion. Did You Hear About the Morgans? appears in an aspect ratio of approximately 2.35:1 on this Blu-Ray Disc. Across the board, the film boasted a strong transfer. Colors came across well, as the movie offered nicely delineated and bright hues. The flick used a natural palette that displayed appealing tones. Blacks seemed dark and full, while shadows were smooth. Interiors occasionally threatened to be a little dense, but they remained clear and accurate. Sharpness was solid. The movie consistently provided good definition and suffered from very few signs of softness. I noticed one or two slightly tentative elements, but the vast majority of the movie looked concise. Jagged edges and moiré effects failed to appear, and edge enhancement was absent. No source flaws marred the presentation either, as the flick remained clean. This was a very pleasing image that just barely fell below “A”-level standards. I thought the DTS-HD MA 5.1 soundtrack of Morgans was perfectly acceptable. Examine the audio of pretty much every other comedy of this sort and you’ll know what to expect from the soundfield. It was a front-heavy affair that usually didn’t offer much more than general ambience. Don’t expect action-movie material from this restrained mix. No issues with audio quality occurred. Speech was consistently distinct and concise, and I detected no problems with edginess or intelligibility. Effects played a minor role and never taxed the system. They displayed decent accuracy, though. Music was a more prominent participant. The track boasted good life and definition to the various tunes, as those showed solid clarity and depth. This was an ordinary soundtrack, but it was fine for this sort of film. Though the movie didn’t do much at the box office, the Blu-ray boasts a fairly sizable roster of extras. 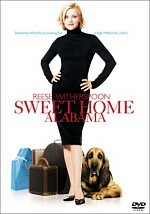 These begin with an audio commentary from director Marc Lawrence and actors Hugh Grant and Sarah Jessica Parker. All three sit together for this running, screen-specific chat about cast, characters and performances, sets and locations, and various production thoughts. The latter subject dominates here, as the three participants don’t often offer a whole lot of concrete movie-making details. They tend to keep things light and generally amiable, though Grant comes across as a bit of a sourpuss – in a good way, as he makes acidic remarks about himself, the movie, and others. Grant clearly plays this for laughs, and it works; maybe I just like his shtick because I’ve heard too many commentaries packed with praise, but I still enjoy Grant’s dourness. That said, this isn’t a particularly good commentary, largely because we really don’t learn much about the movie. We get bits and pieces without much to flesh out the chat. It’s a pleasant enough experience but it lacks depth. Two Deleted Scenes fill a total of four minutes, 30 seconds. We find “Elevator with Moving Men and Gotham Adoption Agency” (3:57) and “Impressive Putt” (0:33). “Elevator” mostly consists of unnecessary exposition, though it does include a couple of funny bits. “Putt” is more of an outtake to show a lucky putt made by Grant. A collection of Outtakes goes for six minutes, 41 seconds. It features a pretty standard array of goofs and laughs, though a few amusing bits emerge. It’s also surprising to see how long one ruined take lasts; Lawrence lets the actors continue through the giggled-up scene even though it’s completely shot. Five featurettes ensue. Location, Location, Location: The Making of Did You Hear About the Morgans? lasts 18 minutes, 13 seconds and features Lawrence, Grant, Parker, production designer Kevin Thompson, co-producer Melissa Wells, and actors Sam Elliott and Mary Steenburgen. “Location” looks at the project’s development and story, casting, shooting in New York and New Mexico, set design, and various experiences on location. The show focuses pretty well on aspects of the shoot related to its theme, and it works nicely in that way. It’s a genial, informative piece. In the eight-minute, five-second Cowboys and Cosmopolitans: The Stars of Did You Hear About the Morgans?, we hear from Lawrence, Grant, Parker, Steenburgen, and Elliott. As expected, the show covers cast, characters and performances. It offers a lot of fluff about how great everyone is and how much fun they had on the set; expect many minutes of outtakes that show giggling. Next comes Park Avenue Meets Prairie: The Fashions of Did You Hear About the Morgans?. It goes for five minutes, two seconds and includes notes from Parker, Elliott, Steenburgen and costume designer Christopher Peterson. To the shock of no one, “Fashions” looks at the clothes featured in the film. It provides an efficient recap of costume-related issues. A Bear of a Scene lasts five minutes, 21 seconds and offers material from Parker, Grant, Lawrence, and bear wranglers Doug and Lynne Seus. The piece provide a few details of shooting the bear-attack sequence. While not fascinating, it throws out some fun notes. It’s also awfully amusing to hear Grant admit that he can be “awfully queeny” – how many Hollywood leading men would say this? Finally, an International Making-Of Special occupies 13 minutes, 46 seconds and includes Lawrence, Grant, Parker, Elliott, Steenburgen, Thompson, and actor Elisabeth Moss. We get some thoughts about the project’s development, cast, characters and performances, sets and locations, and a few anecdotes. Almost all of this info appears elsewhere, so you can skip this redundant show. A few ads open the disc. We get clips for Dear John, The Young Victoria and The Back-Up Plan. Except for that last one, these also appear under Previews along with promos for An Education and Julie & Julia. No trailer for Morgans can be found here. If you’ve seen a couple of “fish out of water” tales, you’ll know what Did You Hear About the Morgans? has to offer. Despite the movie’s generic tendencies, it has just enough charm to make it reasonably enjoyable. The Blu-ray features excellent picture, acceptable audio, and a few reasonably enjoyable supplements. Morgans becomes a decent “date night” choice.